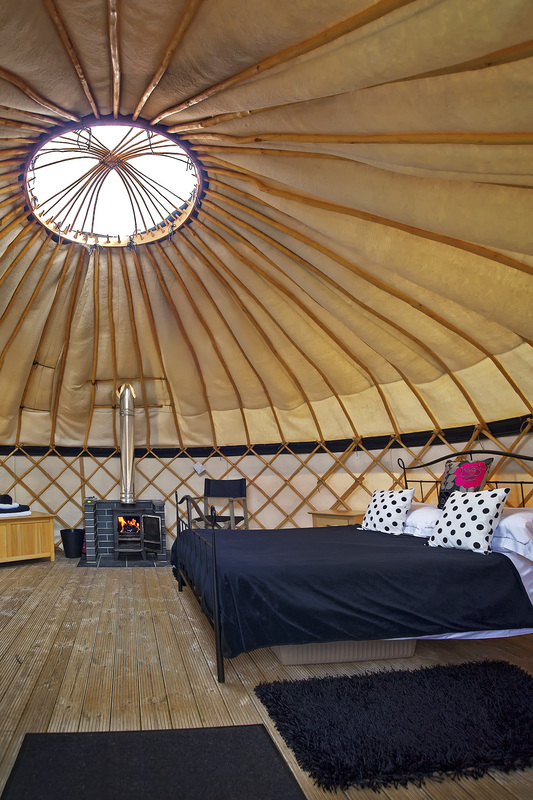 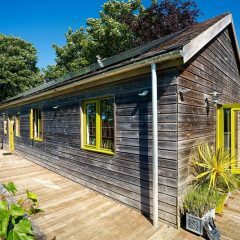 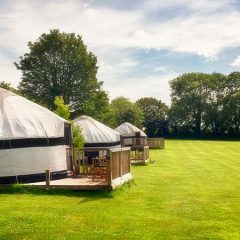 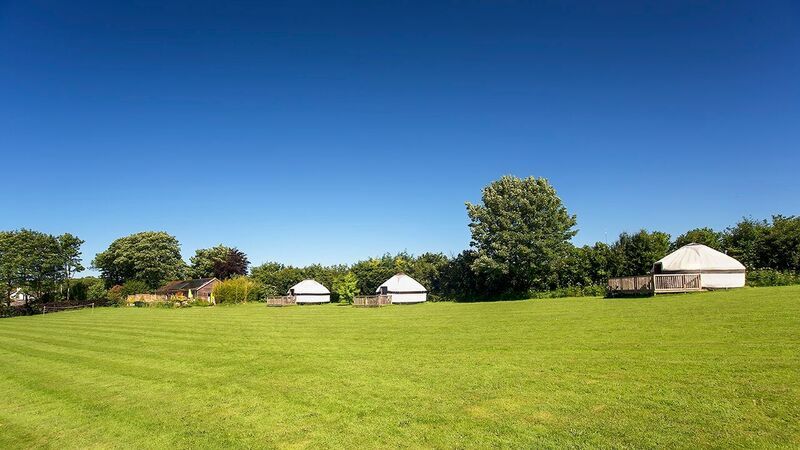 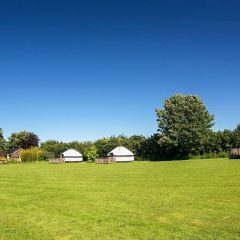 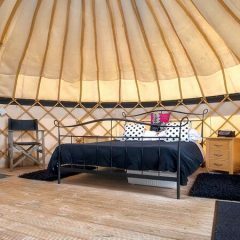 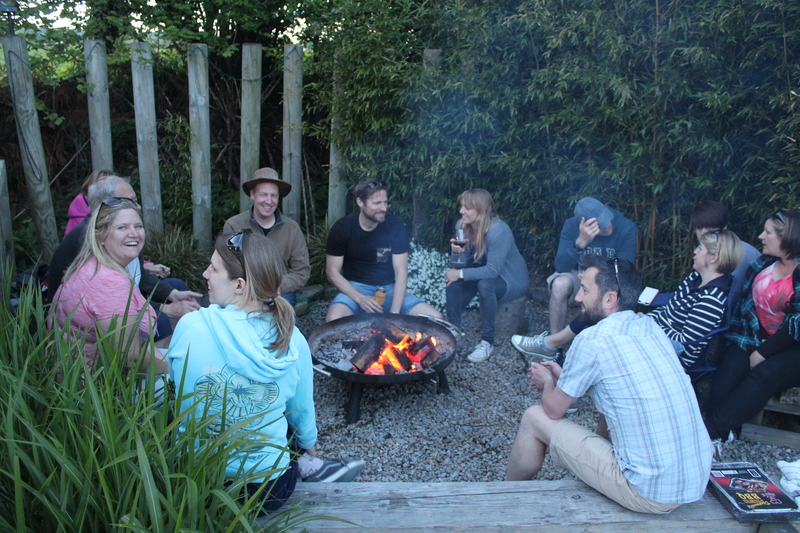 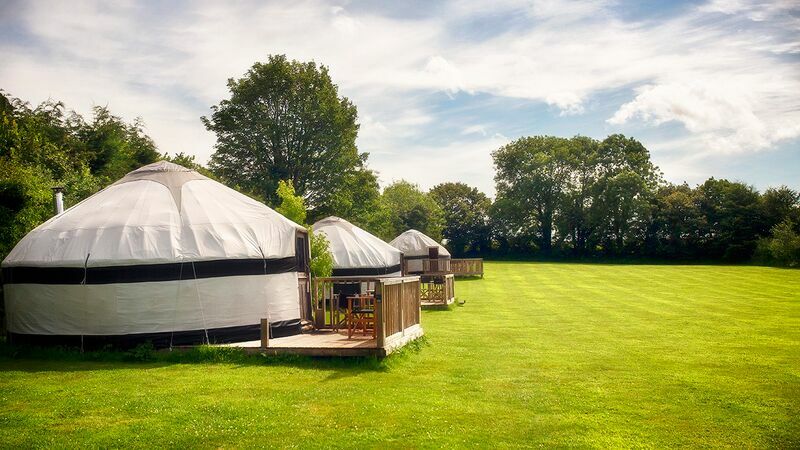 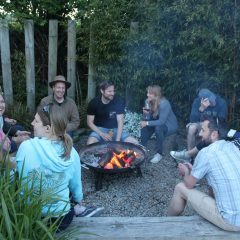 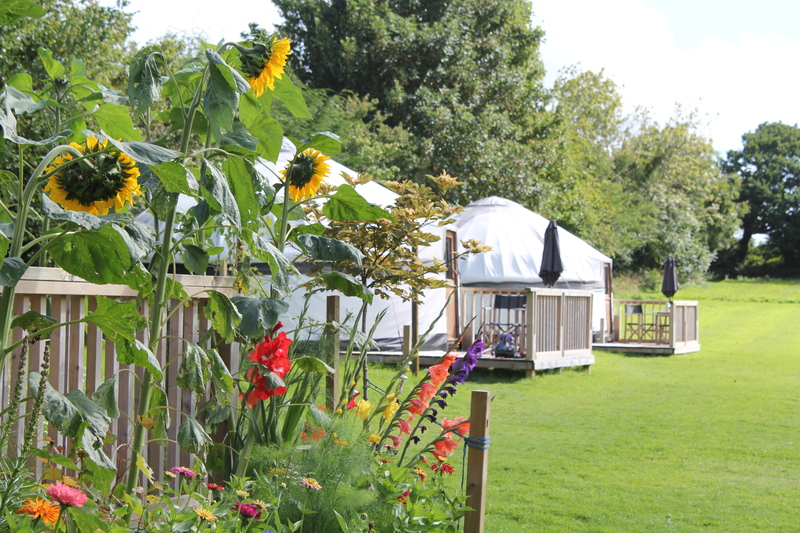 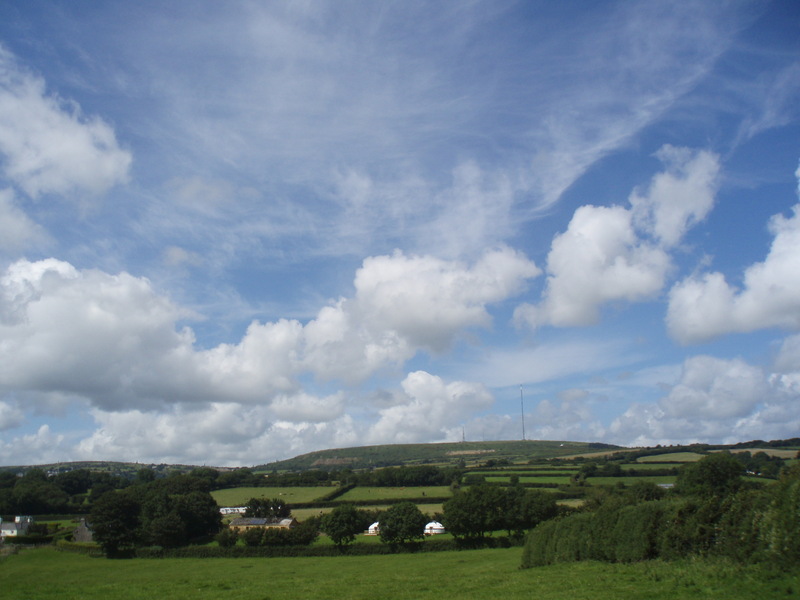 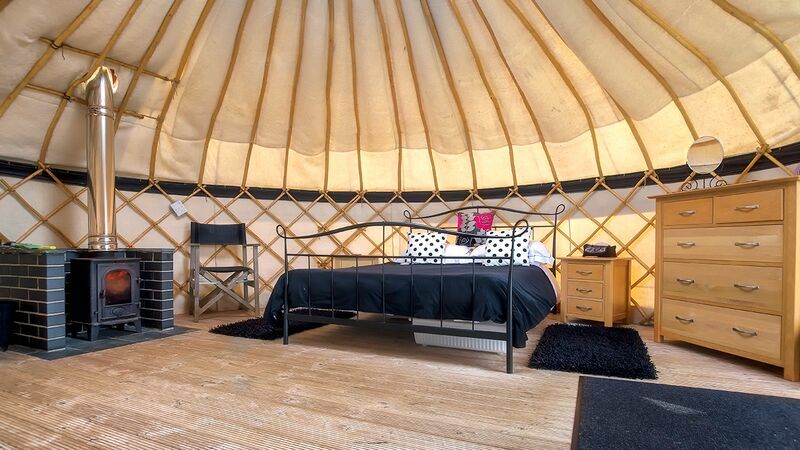 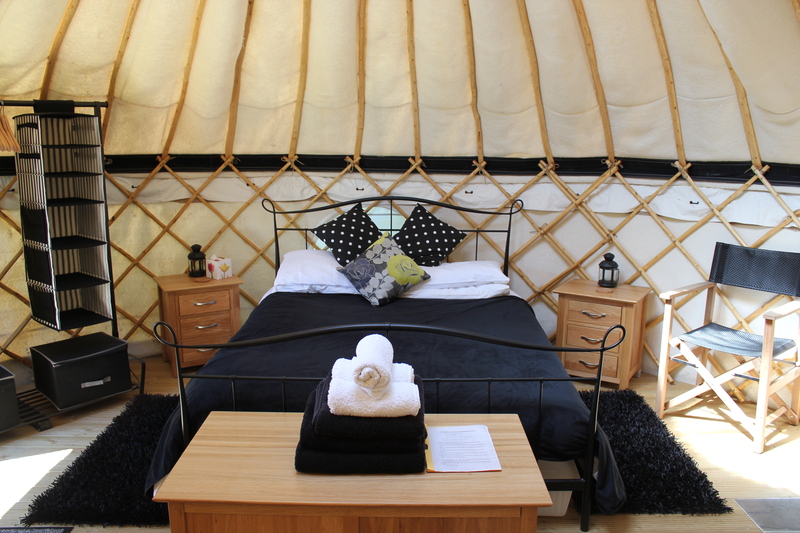 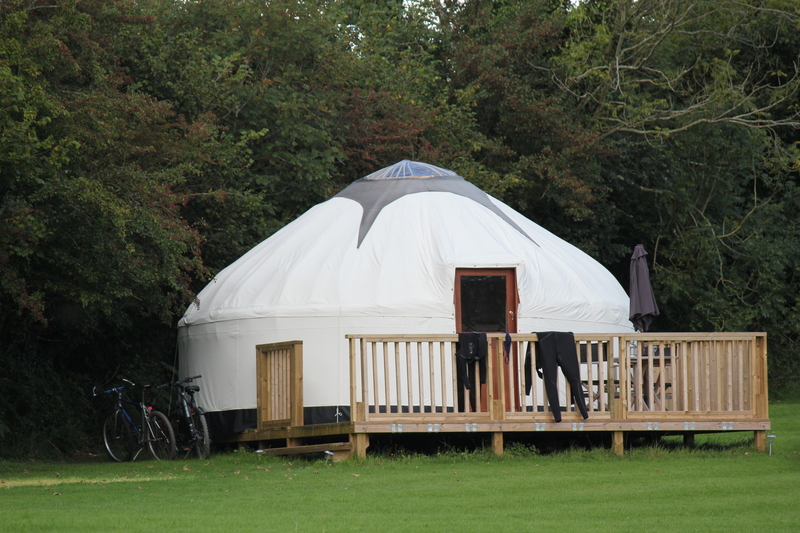 Luxury Glamping in comfortable Yurts in Cornwall. 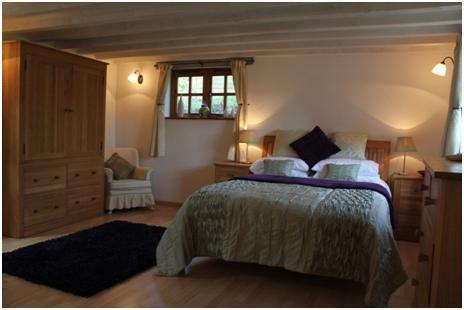 Real beds, crisp linens. 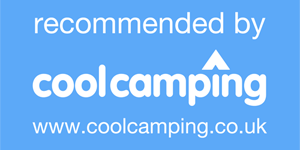 Comfy beds with good quality 100% cotton bedlinen. 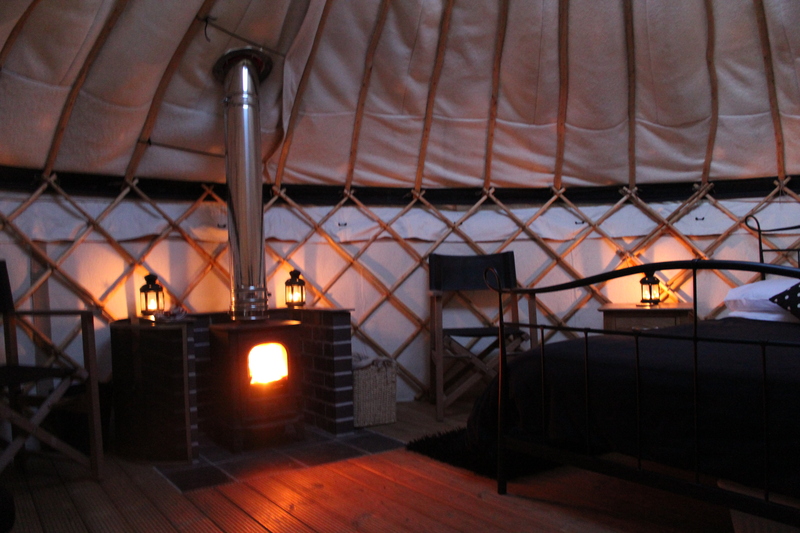 INSIDE ONE OF OUR BEAUTIFUL HAND CRAFTED YURTS. 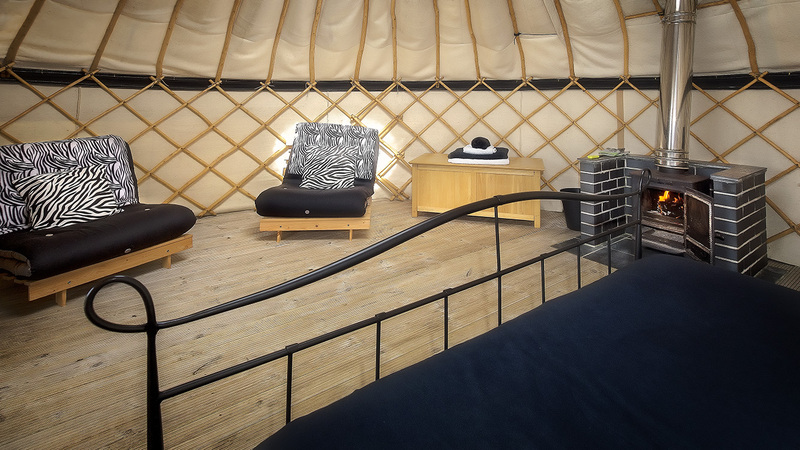 Contemporary furniture, king sized bed, two futons, a wood burning stove and plenty of storage space. 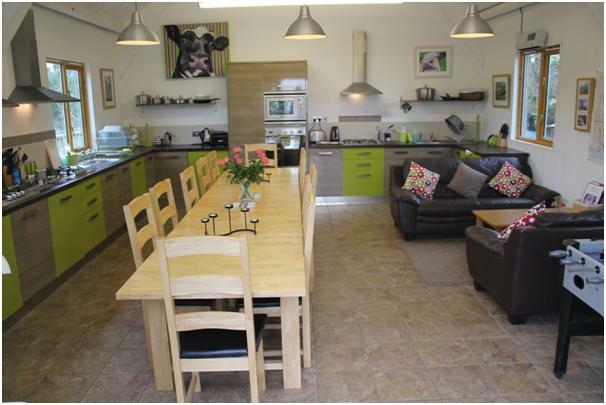 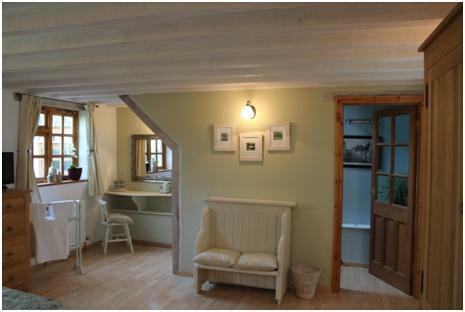 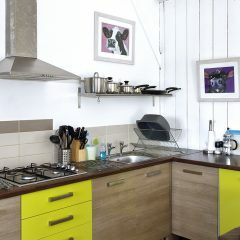 THIS IS THE COWSHED KITCHEN - We know it doesn’t look much like a cowshed any more.....but it used to be one! 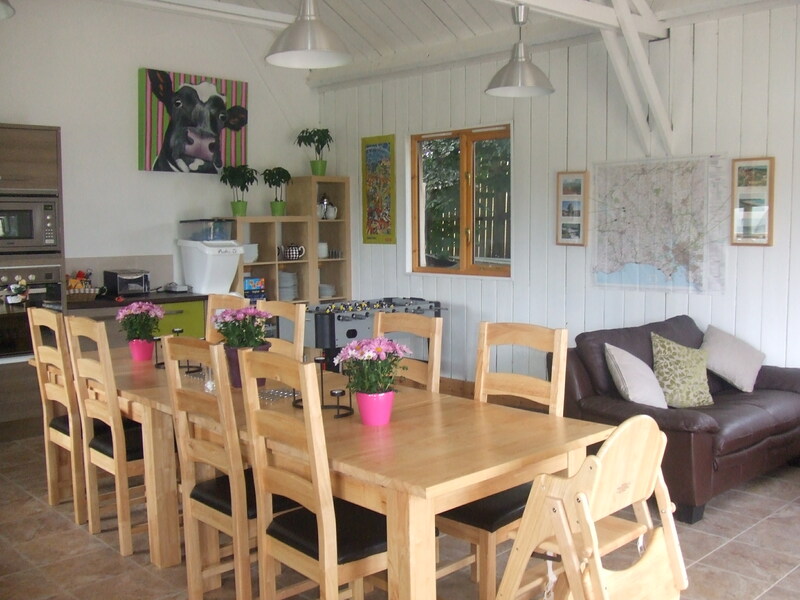 It’s a great social space to sit and enjoy a meal or a glass of wine. 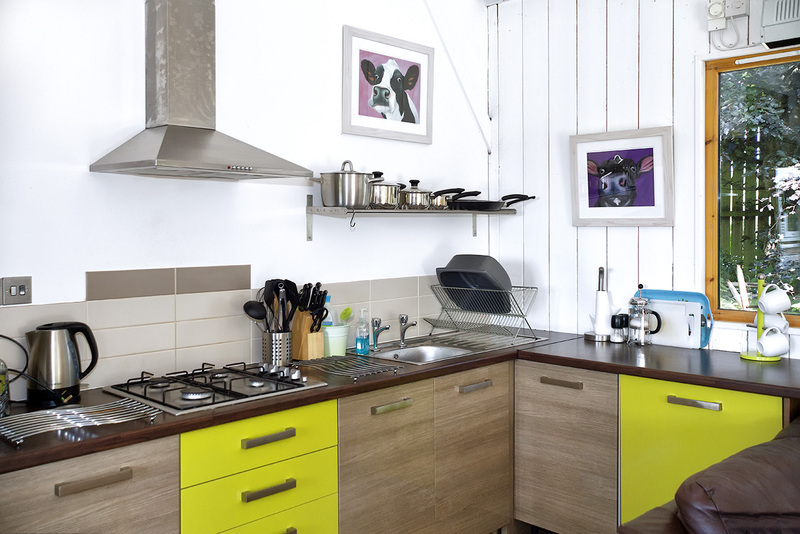 Each separate kitchen area is fully equipped with everything you’ll need for your stay. 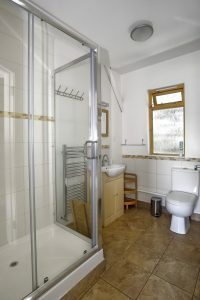 Kettle, toaster, microwave, dishwasher and lots more. 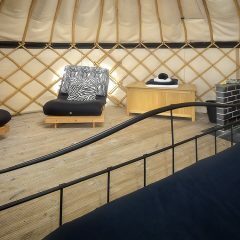 Take a look.....three of everything for the three yurts! 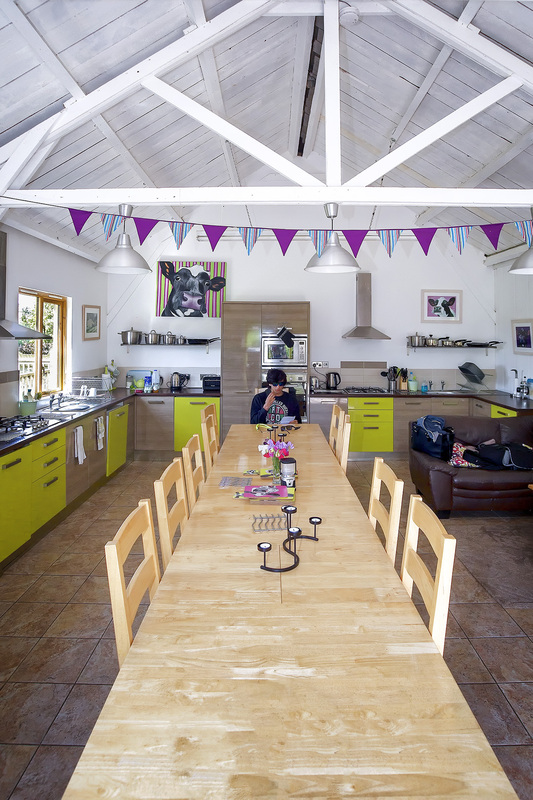 Three hobs, three fridges, three sinks......and every kitchen has a full set of cutlery, crockery, pans and serving dishes. 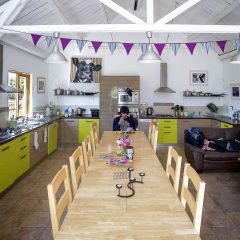 There are also lots of toys, games and books for the children, including table football. 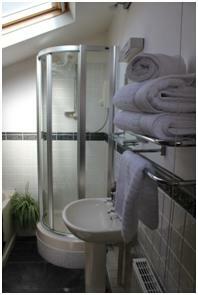 THAT’S NOT ALL......You will also have your OWN heated shower room just for you! 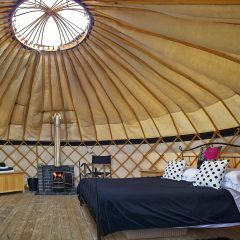 NO SHARING so you can leave all your things there and your towels hanging on the heated towel rail......leaving your yurt clutter free. 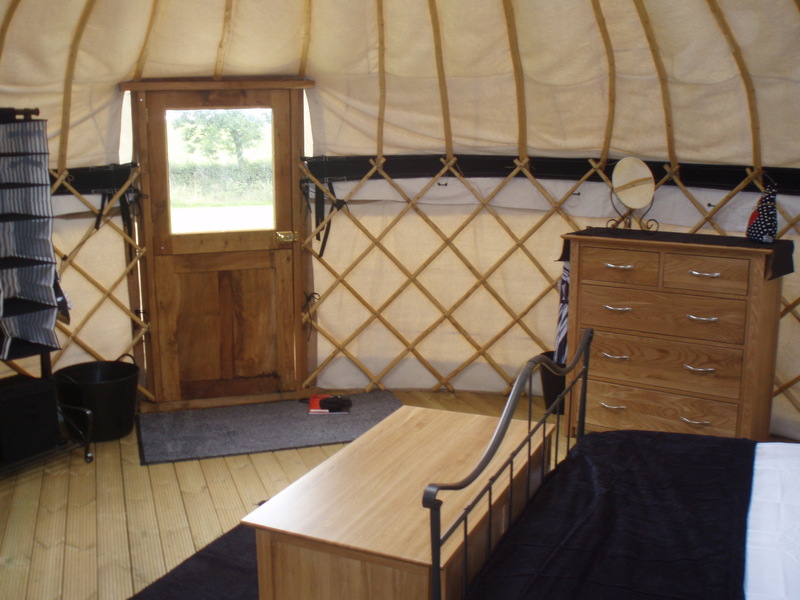 We also have a utility room with FREE washing machine and tumble dryer and we also supply all your re-chargeable lanterns for your yurt. There is a hairdryers and a mirror as well as toys and outdoor games equipment for guests to use......and all the BBQ tools too! 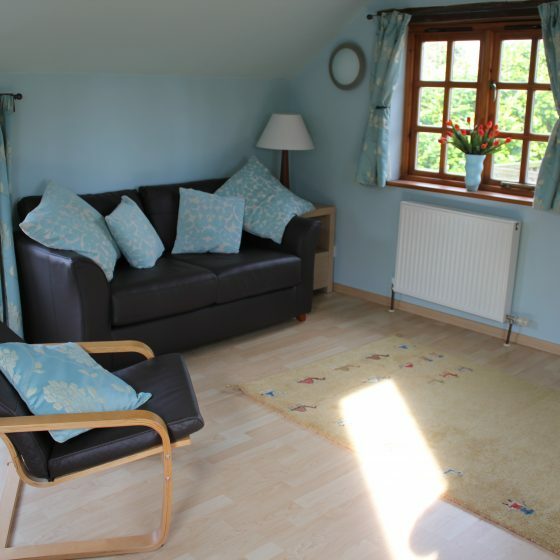 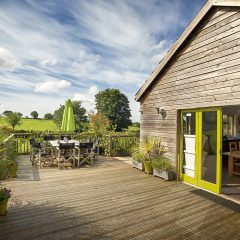 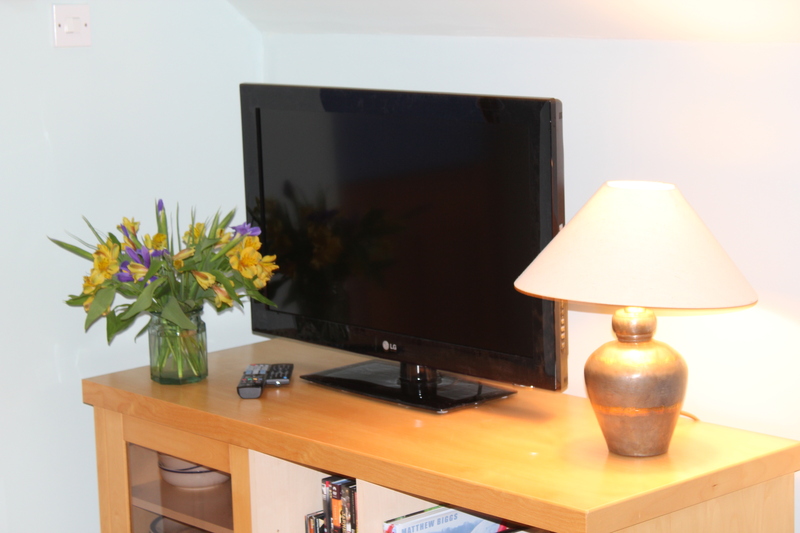 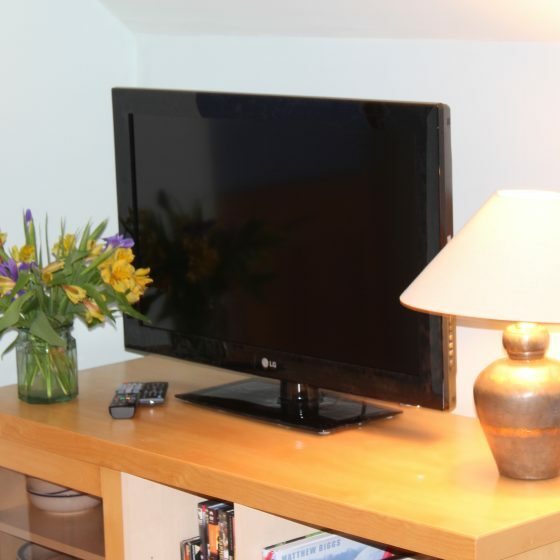 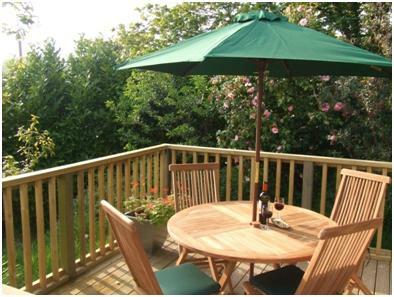 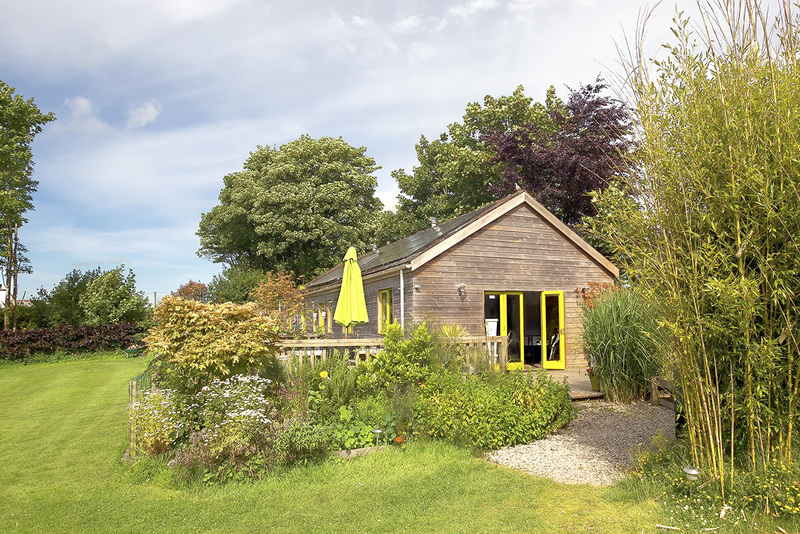 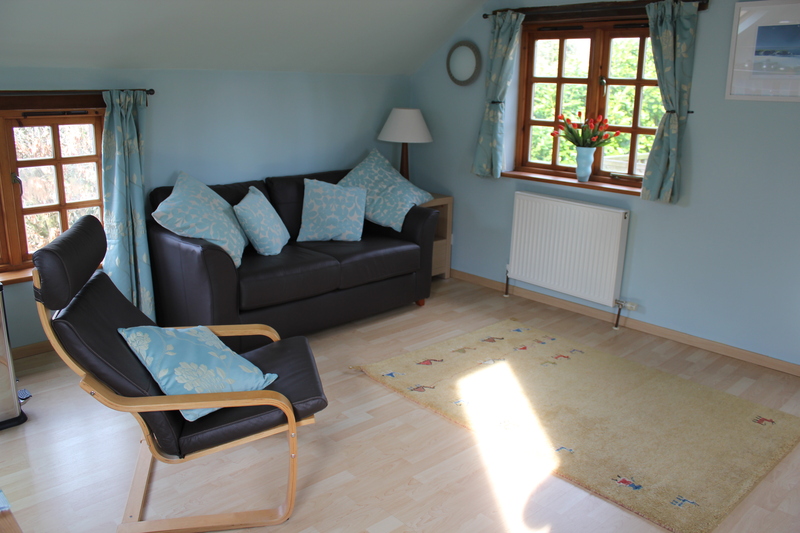 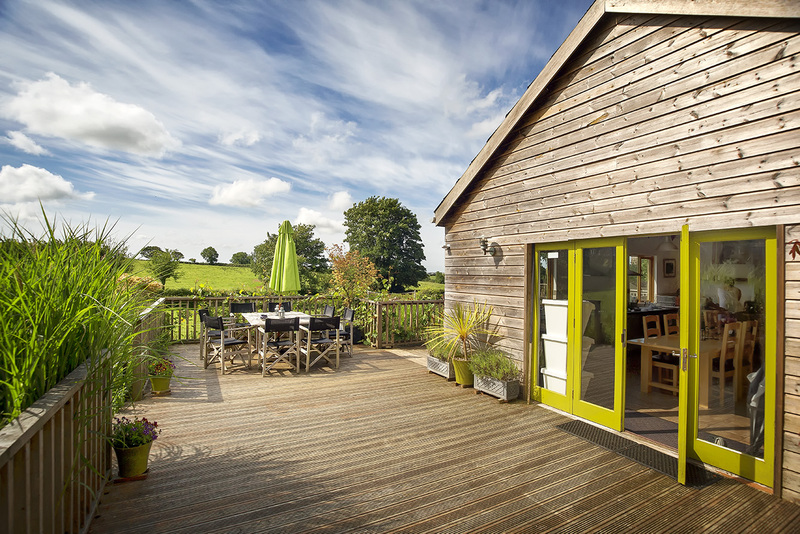 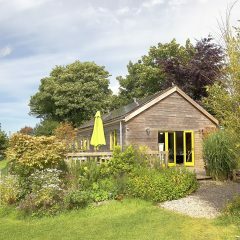 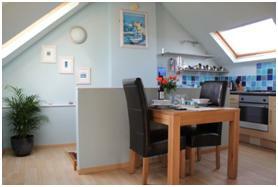 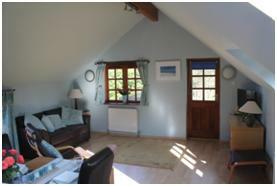 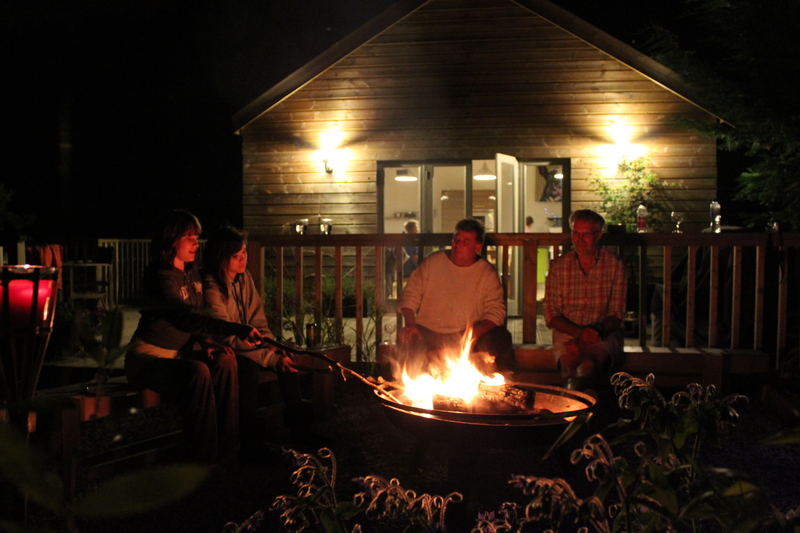 22nd-26th April Four nights £240, Weekend of 26th April -two nights £220 or three nights £250. 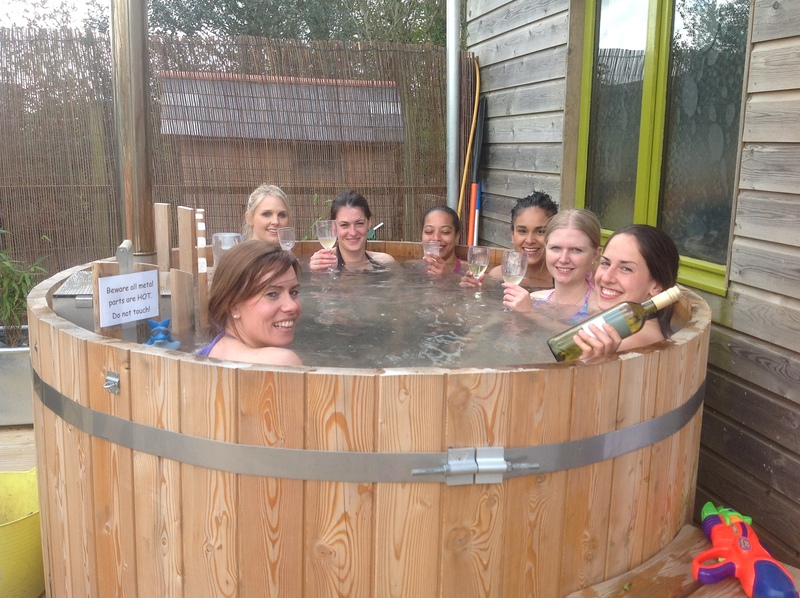 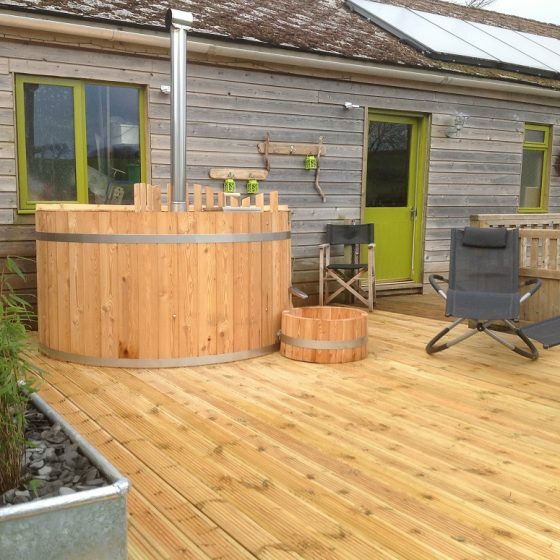 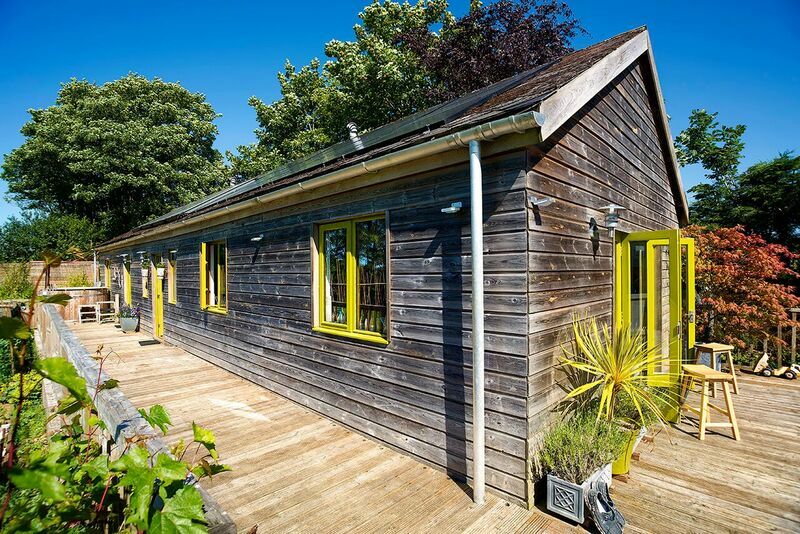 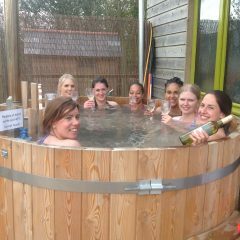 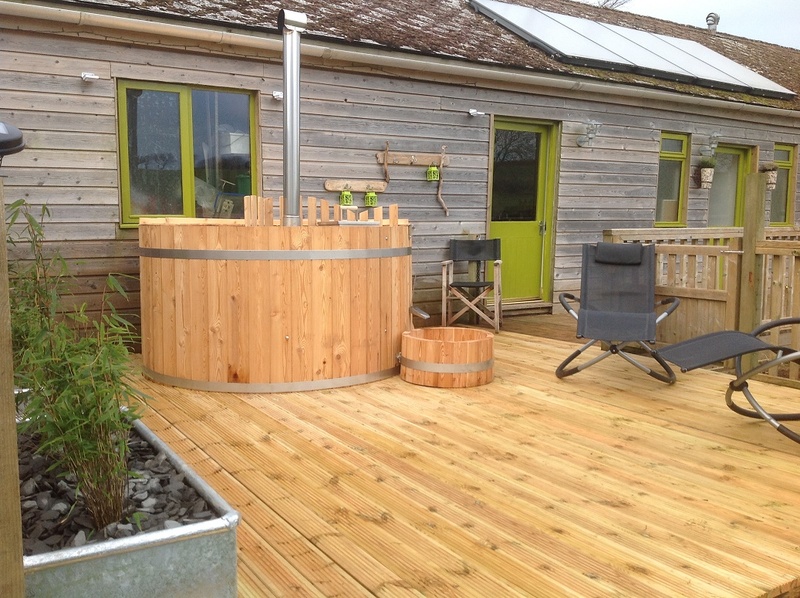 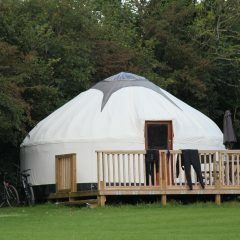 Email relax@luxurycornishyurts.co.uk or call Lindsey on 01579 343896 / mob 07962224285.